Note: While this review will be spoiler free it will reference previous books in the series. 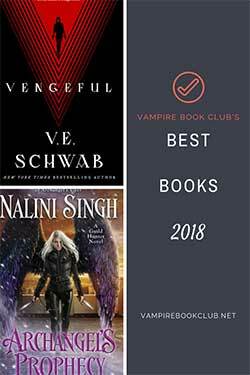 If you’re new to the series, check out VBC’s review of the first book Touch the Dark. If you’re like me, your first thought at the end of Hunt the Moon was: PRITKIN??!! Our favorite war mage transferred power to Cassie in order to save her life, which in the process broke his agreement with Rosier and sent him back to Hell. Tempt the Stars begins a week after with Cassie trying to figure out a way to get Pritkin back, with little success. Her current plan involves finding her mother somewhere in time and getting information on how to break into Hell. The problem Cassie has is actually finding her mother. We get more background information about Cassie’s parents, and like everything else in Cassie’s world it is best not to assume anything. Cassie’s life is always full and, as we’ve come to learn, trouble will follow her everywhere. Now that Cassie is Pythia, her job has gotten a lot more complicated. It is recognized that Cassie knows very little about her actual role as Pythia, and as we start to see a growth in her powers, that is something that needs to be fixed. Add to the fact that the supernatural world is in the middle of a war and you can understand why Cassie is exhausted for the majority of the book. In any case, all that is still pushed aside for Pritkin. I did appreciate the fact that Karen Chance did a great recap throughout. It’s always difficult to find time to go back for a reread before a new release in a series. It’s been two years since Hunt the Moon, but Chance made sure not to leave anyone behind. Another thing I appreciated was the fact that it didn’t take the entire length of the book for Pritkin to enter the picture again. The plan all along was getting him back, and if you’ve read the other books in the series you know that Cassie, once determined, will not give up. So it was never a question of whether or not she would be able to reach Pritkin in Hell (which, by the way, apparently looks like a scene out of Aladdin). When Pritkin is in the picture again the questions start up. There are ramifications for all actions, and of course Cassie hasn’t thought a lot of them through, and she just basically doesn’t understand some of them either. The whole endeavor causes Cassie to really have to start to think. Not just about demon politics, but finally about her emotions, especially towards one blonde war mage. These are things that have been looming in the background for a few books now, but haven’t been acknowledged. Based on side comments from other characters, everyone sees it but Cassie. Uh oh, Mircea! We learn that the gods are getting closer to breaking the barrier. Everyone must choose a side, and many will need to put aside feelings of animosity in order to survive. There are obstacles thrown in the way, ending the book on a cliffhanger. I keep repeating one thought in my mind —“Time Traveler! !” Regardless, we’re set up for some interesting happenings in the next book for sure. The only thing that could ruin the positivity would be if we have to wait another two years for the next book! If you haven’t picked up the series, it’s one you definitely need to start from the beginning. Tempt the Stars, for me, is the strongest yet. YAY! Been waiting for this for a long time. Can’t wait to get home and start reading. Also, TEAM PRITKIN ALL THE WAY!!!! I just read the book, and as a major fan of the series and author, I have to say I was very disappointed. Usually, although Karen Chance always leaves off on a cliffhanger in this series, something always gets resolved. Even if it’s something small, and actually sets in motion other things to happen in future books. But in this, I felt like nothing really happened. It was just a filler. Pritkin is still gone, Cassie’s still denying her feelings, and who knows what the demon council has decided. Added to that, Mircea’s barely seen in the book, and I really wanted to know what had happened following the mental attack he had in Dorina’s book. :/ I dunno, I still love the series, but this one seemed really weak compared to the rest of the books. Thanks for the reminder that Cassie can time travel. It was a great comfort at a certain point in this book. 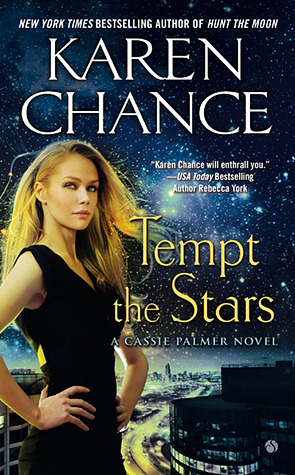 I love this series and thought Tempt the Stars was great. She really left us with quite a cliffhanger though didn’t she!?!? 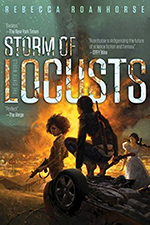 I’m a huge Pritkin fan and loved that it didn’t take forever for him to enter the book as well – I also just loved the way Cassie has grown so much in this book. She’s really coming into herself as a pythia (like they’ve never seen before)! Great review!